Vincent Castiglia paints in human blood. The haunting, yet beautiful, images are of human bodies in various forms of decay. The reasons why Castiglia began painting in blood are explored in this emotional rollercoaster ride portrayed on film. I've been dying to see this documentary since it was first announced, so when I got the chance to do a review I jumped at it. 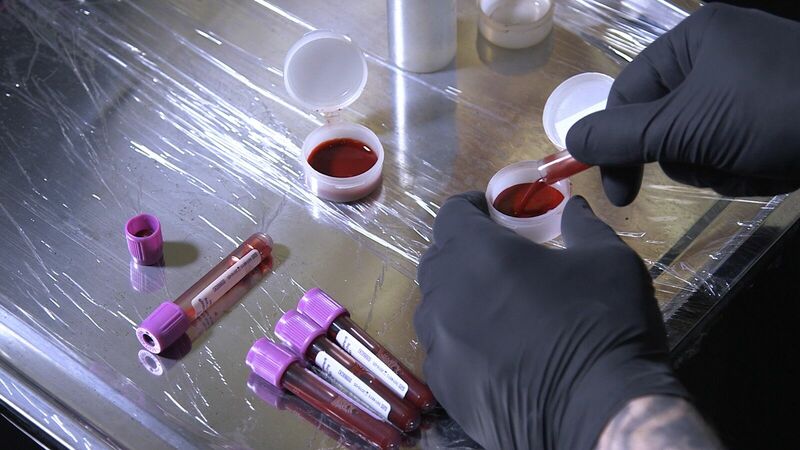 Now I know some of you reading this may complain that this isn't 'Horror', but if a documentary about a guy who creates art with blood doesn't intrigue you in any way then you're probably in the wrong place. If it does pique your curiosity then I can guarantee you that you are certainly in for a treat here. Orson Welles once said “I don't know anything about art but I know what I like.”, it's a statement that certainly resonates with me. Castiglia's artwork is outstanding and to get an inside look into how he comes up with his art, the process behind it all and the methods he uses is something that is incredible to witness. 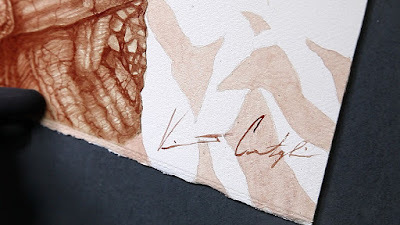 What I was certainly not ready for was the emotional ride that the documentary takes us on, without spoiling anything for you all I'll say is, is that Vincent Castiglia has had one hell of a rough life. He guides us through those trials and tribulations and gives us insight into how it affects his artwork and why he does what he does. Director John Borowski once again shows us that he is a master of his craft, he lets the subject matter speak for itself and luckily for us Castiglia is extremely open. He delivers a truly compelling, intriguing and educating documentary and I seriously hope it get the audience it deserves. 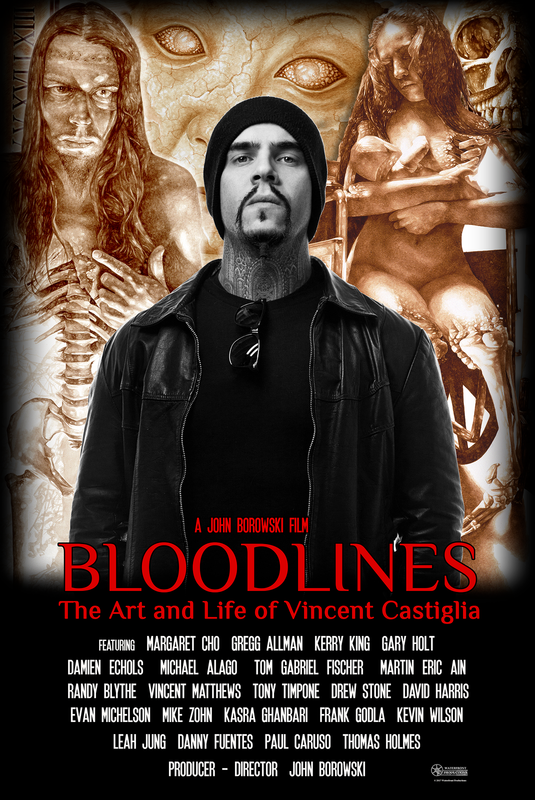 "Bloodlines: The Art And Life Of Vincent Castiglia" is a fascinating insight into the life of an incredible artist. The documentary gets released on November 13th and I urge you to watch it, you will not regret it.